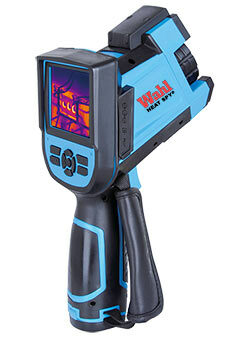 The most powerful and affordable full specification Thermal Imaging Cameras on the market today! ***View from twice the distance. equired on 9Hz models. **** 384 x 288 is not directly convertible to 640 x 480 imager display. Image is displayed as a 320 x 240 image. Full 384 x 288 resolution image, (1.09 mrad), downloads to computer.